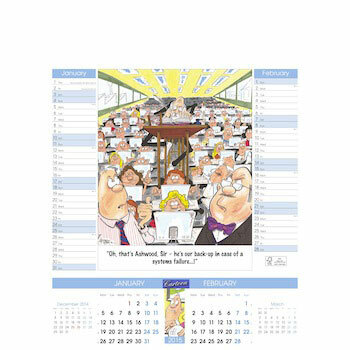 The cartoon calendar shows the funny side of working life. Displaying two months per page in date and memo format and is wire bound at the top. This is a very popular gift and is perfect for promoting your corporate identity!